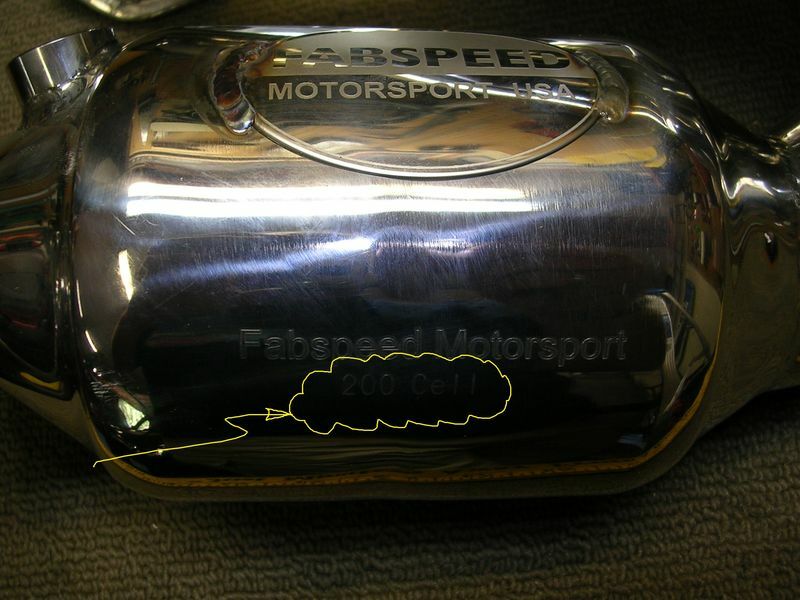 For sale is one half (only) of a Fabspeed 200-cell header set for a 986 Boxster. Left (driver’s) side only – it’s the “shorter flange” one. Superb build quality – I’ve never seen a header built as well as this one. I bought this a while ago, thinking that I would eventually track down the matching right (passenger’s) side header. The story that I got from the seller back then was that this unit was made for use as a visual display item for a Fabspeed trade show booth. But since that time my exhaust system work has taken me down a different path, and therefore this unit is now surplus to me. 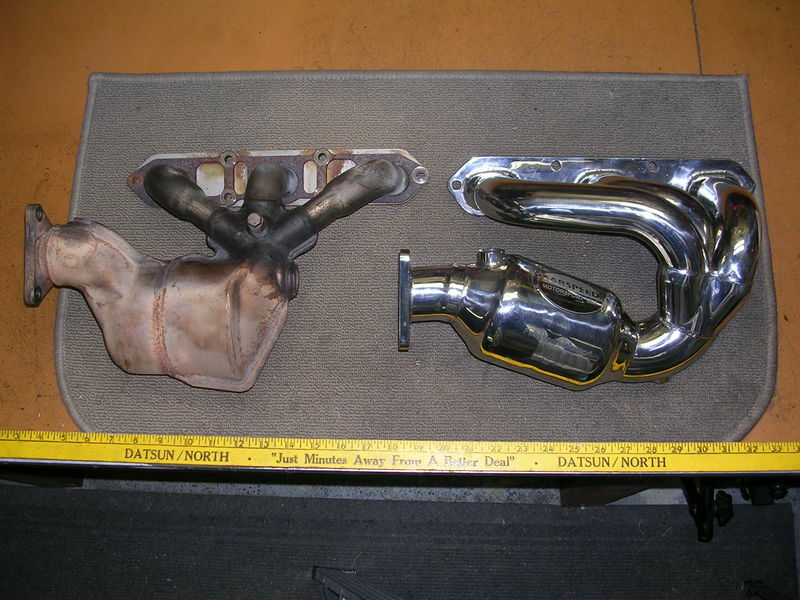 See their web page for a full description: https://www.fabspeed.com/porsche-986-boxster-sport-headers-2000-2004/ And be certain to notice their selling price for the pair! I see no evidence that this header / cat system has ever been used, nor even mounted up to an engine (I certainly never did so). Even so, looking into the end of the cat, it looks like there was perhaps something loose which rattled around in their shipping crate during transit to their show, and which indented a small bit at one location at the exit end of the cat cells – see picture. Certainly not a big deal at all, but I openly note it here in the spirit of full disclosure. If I were ever to use this system, I would therefore simply poke around these few cell ends with an icepick, or something long and pointy like that, just to ensure a clear exit path for each and every one of those small number of cells. Looking at the above website, their price is $2,295.00 USD for the pair, making this single unit worth around $1,150.00 or so. My price is $395.00 USD for this one alone, plus shipping ( ... which is less than I paid for it, by the way). Last edited by Dave80GTSi; 10-16-2018 at 03:23 PM. The yellow circled bit in the third picture was my attempt to photograph their inscription "200 CEL" on the side of the cat portion. Should have used a brighter flash for the snapshot, sorry! For anyone who is wondering how they might be able to track down the complimentary header / cat for the other bank, I contacted Fabspeed back when I bought this and asked. Yes, they can make the opposite side, and at a not-too-terrifying price. For posterity, posting a public answer to a private inquiry. The cat portion of the Fabspeed header measures roughly 3.5" in diameter x 3.5" long. Compared to the OEM manifold cat which appears to be around 4" in diameter x 4" long. So yes, the Fabspeed cat is physically a bit smaller than the OEM cat. What was that "not terrifying price". Reveal, please. Last edited by Dave80GTSi; 12-17-2018 at 05:20 PM. 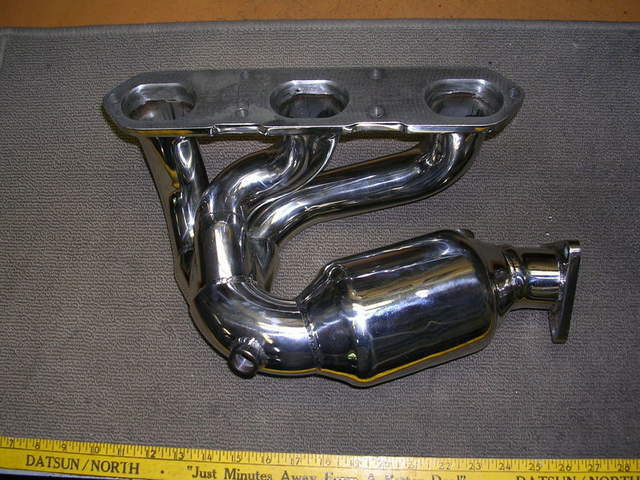 The only differences between the early and later model year exhaust manifolds are their exhaust flange dimensions. See my pictures in Post no. 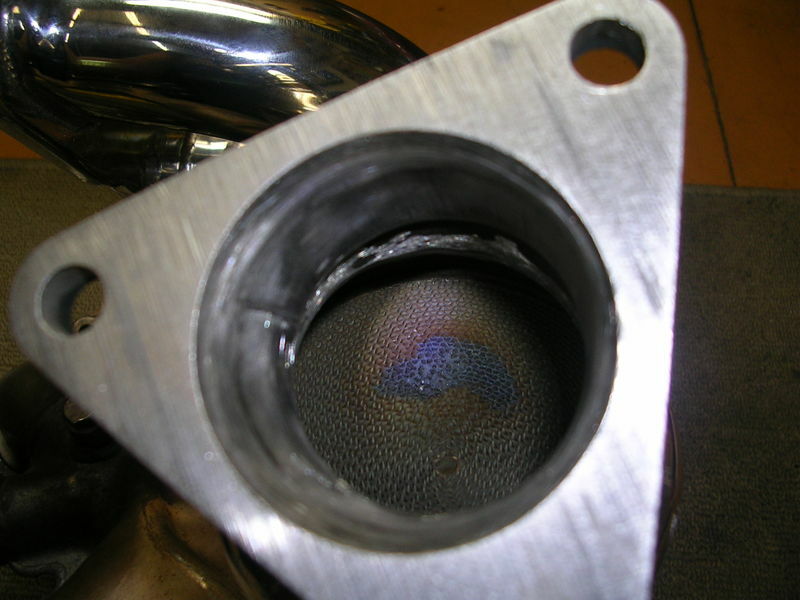 2 here: What's the difference between early and late cat delete pipes? 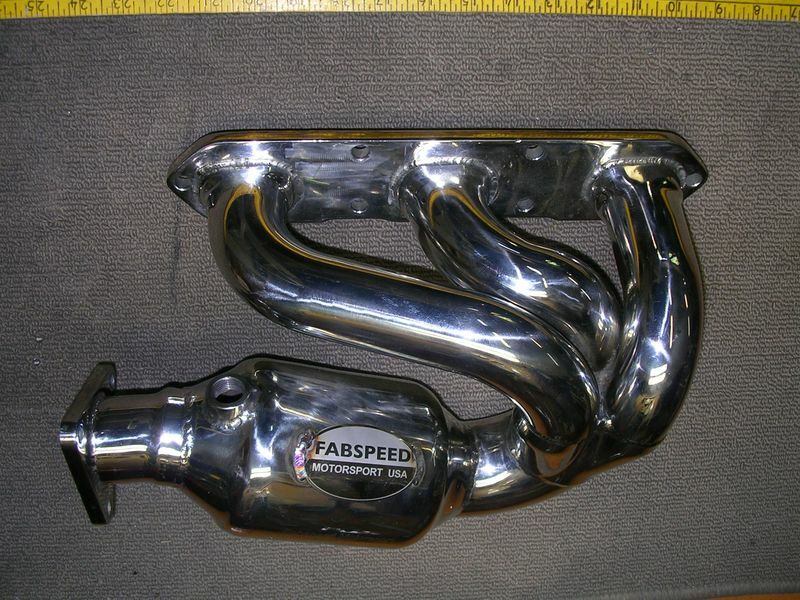 While I have never had a need to try this, it seems like it would be possible for an early model year car to fit the later model headers (like these Fabspeeds) if the secondary pipes are also swapped to the later models as well. Last edited by Dave80GTSi; 12-19-2018 at 12:39 PM. Price drop to $375.00 USD plus shipping. Hi Dave I'll take the Fabspeed manifold. PM sent, but not certain that it went OK. If not, you can e-mail me direct. Last edited by Dave80GTSi; 01-23-2019 at 12:21 PM. I accidentally deleted your E-mail, can you resend it?